In the southeast of Turkey, not far from the city of Adiyaman, there lies a Roman bridge. 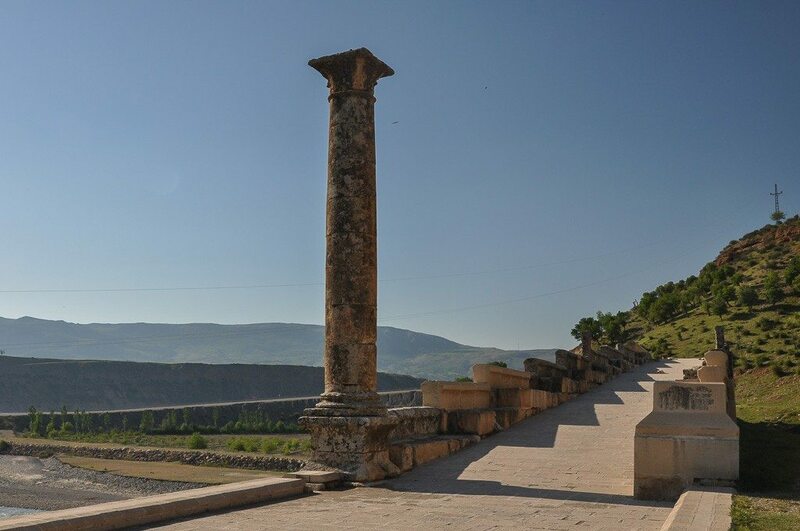 It is one of the best preserved Roman structures in Turkey. The restoration was done in 1997, but even before that, the bridge was still in use by vehicles. Today there is a modern bridge that serves the traffic; there are more stray dogs than people visiting the old bridge. 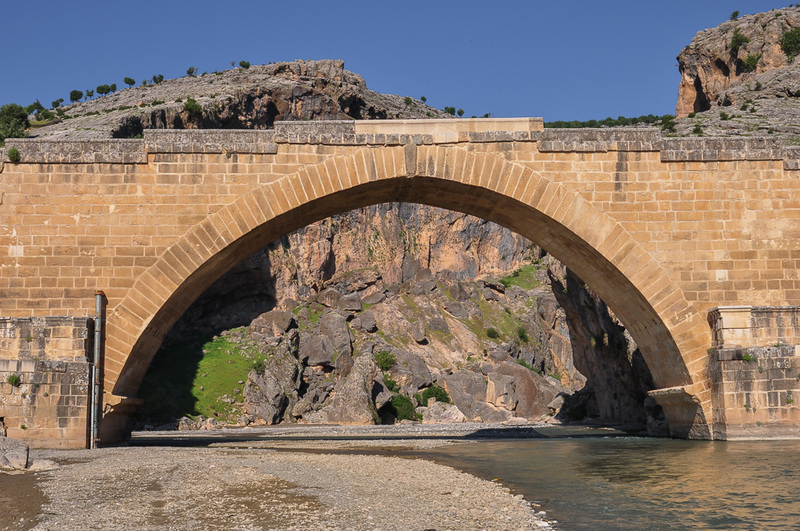 Built between 198 and 200 CE by the XVI legion (XVI Flavia Firma) based at Samosata, the bridge crosses the Cendere River at its narrowest point. 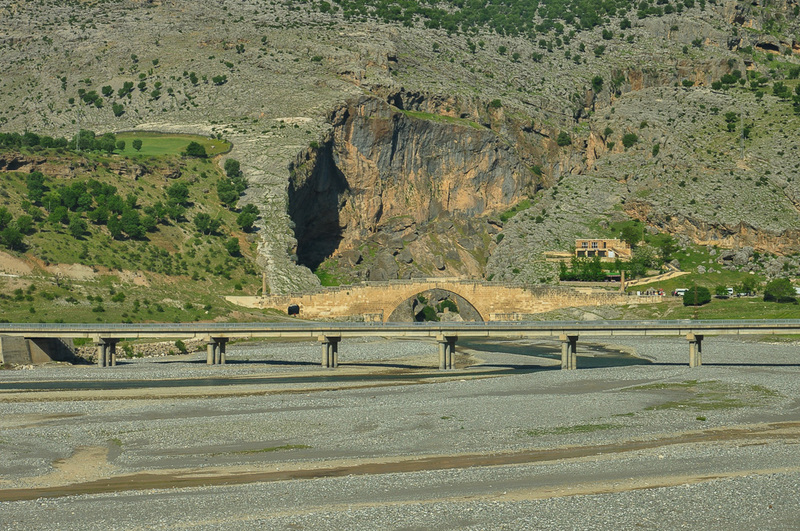 The Cendere Bridge was probably built as part of construction efforts to facilitate the military campaign of Septimus Severus in the Parthian Empire and Mesopotamia. 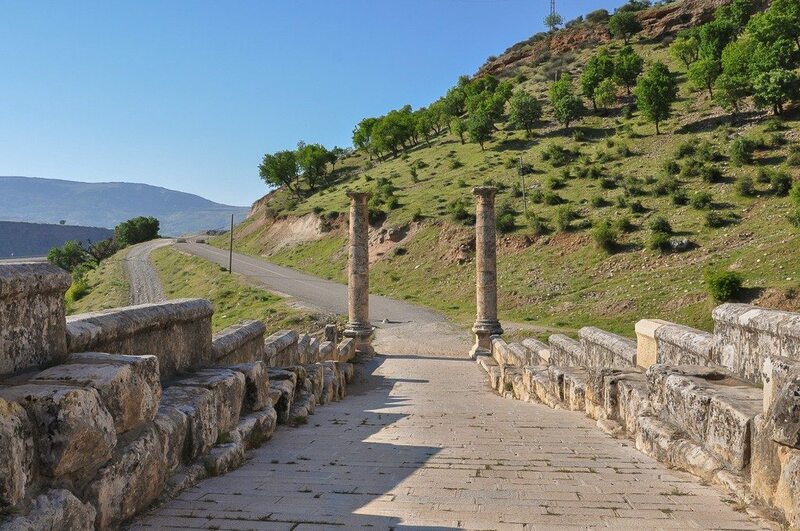 The 118 m long bridge used to have four Doric columns with statues, two on each side of the bridge, inscribed with dedication texts. The first pair was dedicated to Emperor Septimius Severus and his wife Julia Domna. On the other side, only one column still survives, dedicated to their son, Marcus Aurelius Severus Antoninus, the ruthless emperor also known as Caracalla. The fourth column, or better, the absence of it, is a reminder of dirty Roman politics and the brutality of Caracalla’s spirit: it was dedicated to his brother Geta, whom he killed (the two of them ruled shortly together, after their father’s death in 211 CE). It seems it was easier to just remove the column than erase the dedication. The Cendere Bridge was actually just one of the reminders of this fratricide: Caracalla ordered a total removal of Geta’s image and name from all public buildings as well as coins. The famous Arch of Septimius Severus in Rome is another example on which the name and image were erased. Born in 1984 in Belgrade, Serbia; Studied Heritage of Europe and Mediterranean in Koper, Slovenia; Lived in Hungary, Spain and Germany; The only thing that did not change in all that time is love of photography and art history.